After all the suspense with Google saying it working on bridging the gap between a mobile phone and a tablet, it has finally come out with Android 4.0 Ice cream Sandwich. I just hope the end product is as delightful as its name. Google and Samsung worked tirelessly to bring out this Android 4.0. 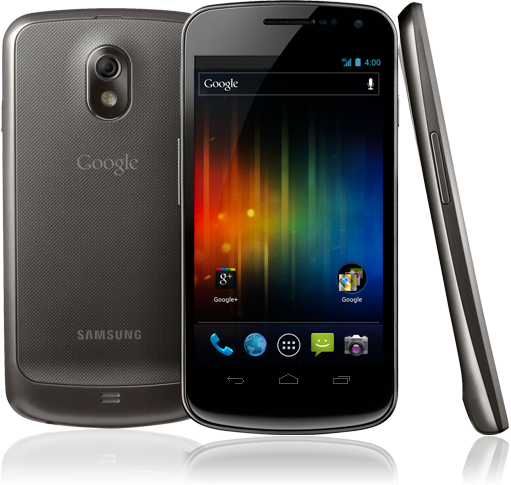 They unveiled the first Android 4.0 phone Galaxy Nexus. Google called Android 4.0 the one OS that will run on a phone, a tablet PC and a computer. 1. Face Unlock: The Galaxy Nexus features built-in facial recognition technology that is put to good use in a cool feature called Face Unlock. As the name suggests, it allows users, or their evil twins, to unlock the device simply by staring into the camera. In theory, at least. The technology was balky during a live demo in Hong Kong. 2. Android Beam: You can’t teleport to the nearest Class M planet with Android Beam, but you can wirelessly send videos, photos, apps, links, and other content to other NFC-enabled Android phones simply by holding the devices within close proximity of each other and hitting send. 3. Voice Typing: For users who live in one of the 34 states that have banned texting while driving, or for users with certain disabilities, the Galaxy Nexus’ Voice Typing feature offers a convenient way to send texts without having to use the keyboard. Users simply need to touch the phone’s microphone icon and begin speaking. The device will automatically convert the oral input to text, which can be sent through email, SMS, or IM. 4. Single-Motion Panoramic Camera: Smartphone cameras can be real handy–until you realize you could probably render a creditable painting of your subject in the time between when the trigger is pressed and the shutter snaps. That’s particularly true in low-light situations. The Galaxy Nexus looks to solve that problem with what Google calls “a high-end camera with zero shutter lag.” The “high end” claim may be a bit of an exaggeration, however, as the camera checks in at only 5 megapixels–as compared to the 8 megapixels found on iPhone 4S and a number of other rival offerings. 5. Big HD Screen: At 4.65 inches, Galaxy Nexus’ display area is one of the biggest on the market and trounces the aforementioned Apple product in terms of real estate (iPhone 4S checks in at just 3.5 inches). A couple of more inches and this thing is a tablet. And you can fill all that Super Amoled territory with edge-to-edge high-definition content rendered at 720p. The Galaxy Nexus arrives in North America in November. Pricing was not announced, though Engadget sees it on Verizon at $299 with contract. But that’s unconfirmed. IPhone 5 to debut in September? Most Popular Song on 4th of July? Android 4 Ice cream sandwich is an awesome OS,I had read about it and seen some news for it on TV. The Android Beam feature will be great fun to use.